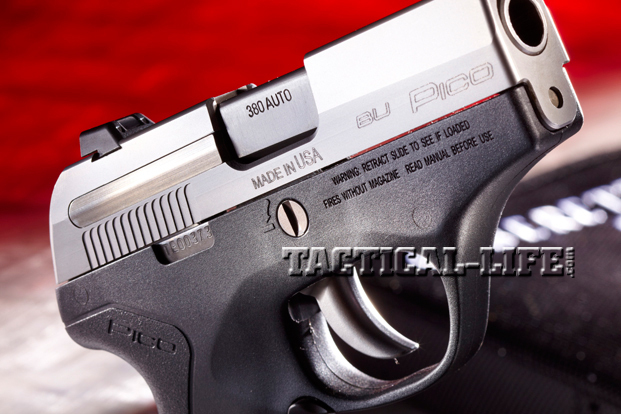 In the world of ultra-compacts, size maters, and when it gets down to fractions of an inch, the Pico earns its name. 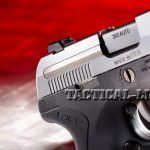 The little .380 even has interchangeable, dovetailed, white-dot sights, a feature that sets it apart from most of the competition in this size and caliber. 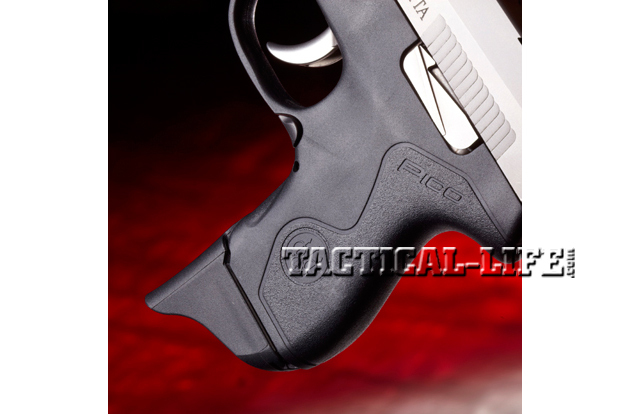 “Overall, the Pico is a breeze to operate,” author Dennis Adler observed. 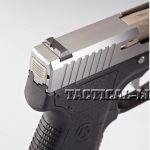 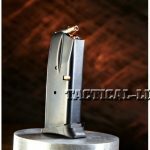 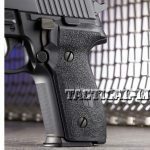 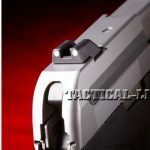 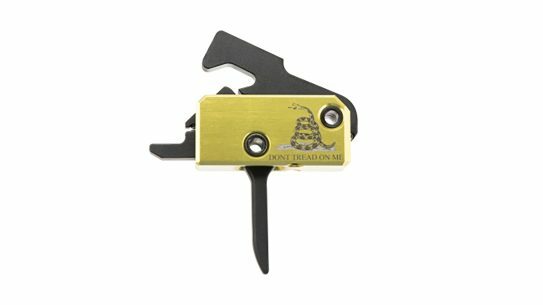 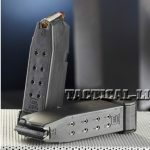 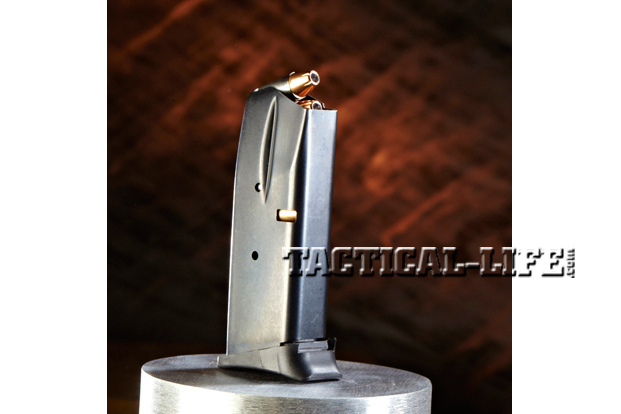 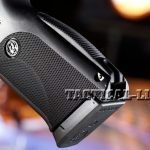 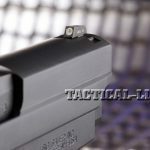 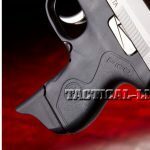 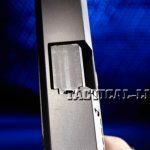 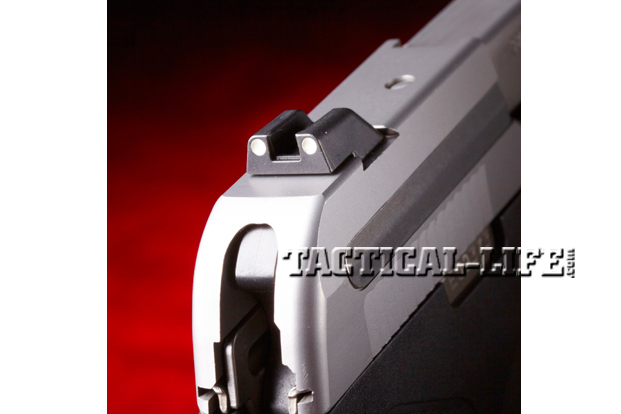 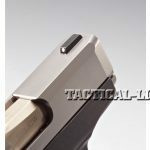 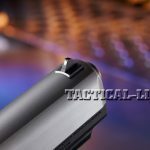 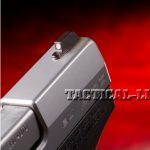 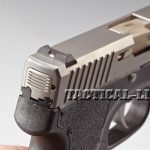 “The slide catch is almost flush, but has just enough of a cutout that you can lay your thumb into it and easily release the slide on the reload. 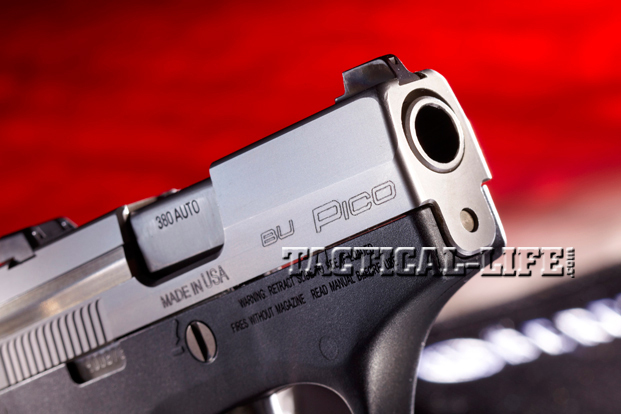 I found this to be one of the quickest and easiest to activate slide releases of any ultra-compact semi-auto on the market.” Not only is the Pico one of the most compact .380 autos on the market, it is also, by far, the narrowest .380 handgun ever made. 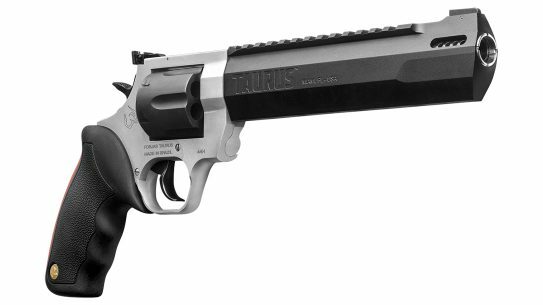 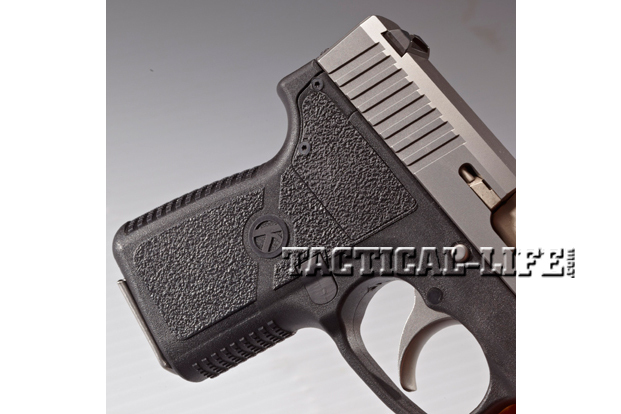 And that is going to make this innovative, micro-compact semi-automatic the most desirable CCW pistol in years. 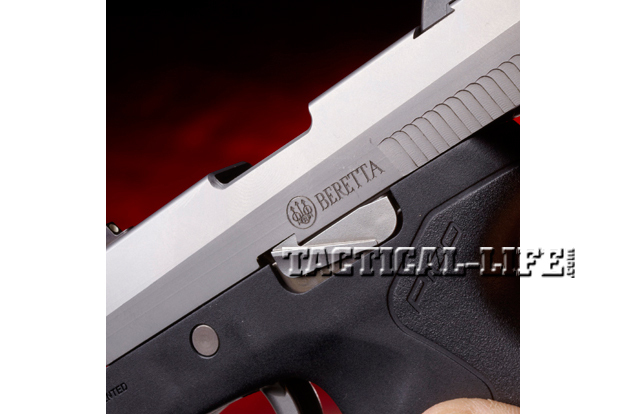 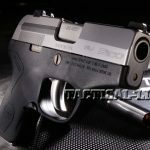 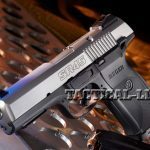 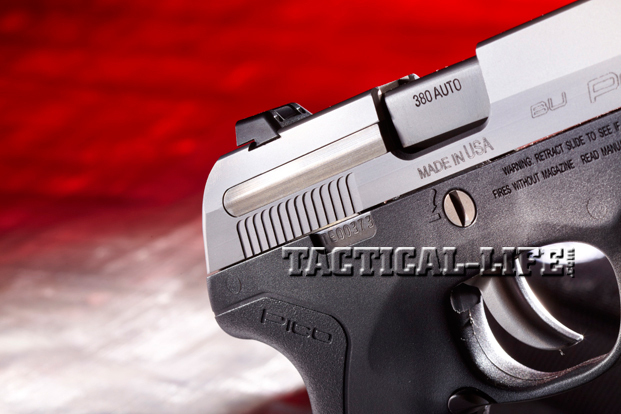 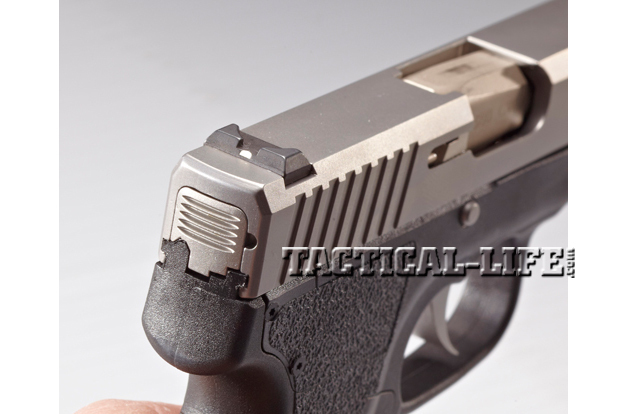 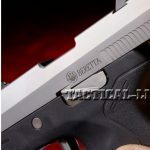 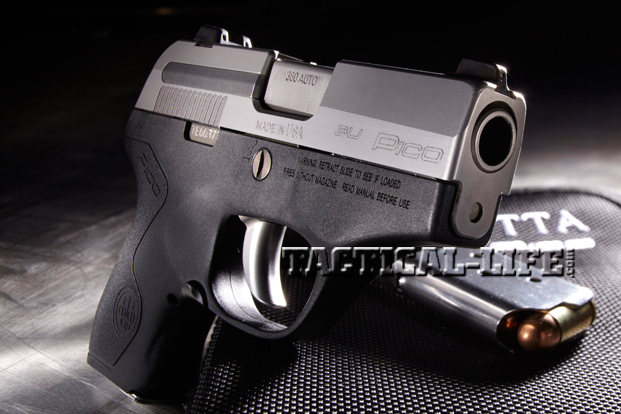 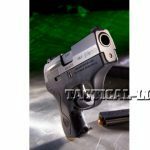 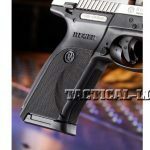 Read the entire Combat Handguns Beretta Pico .380 article HERE…. 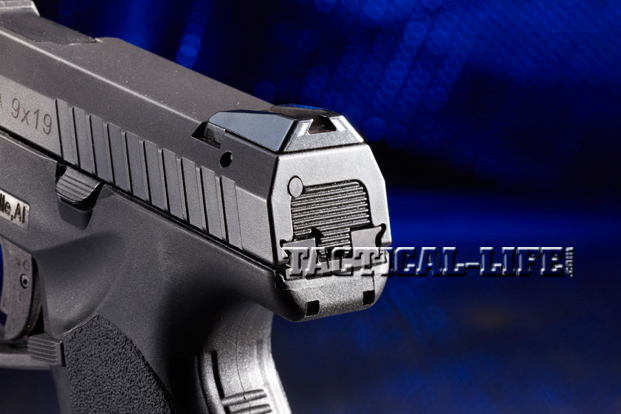 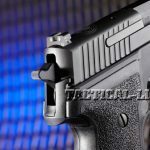 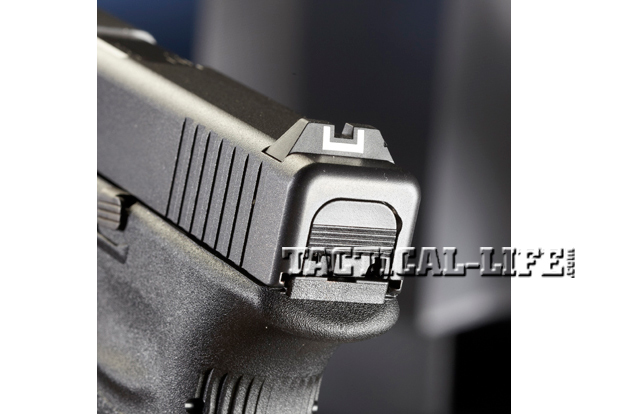 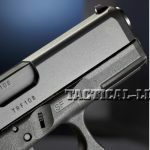 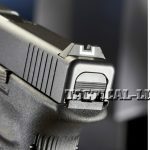 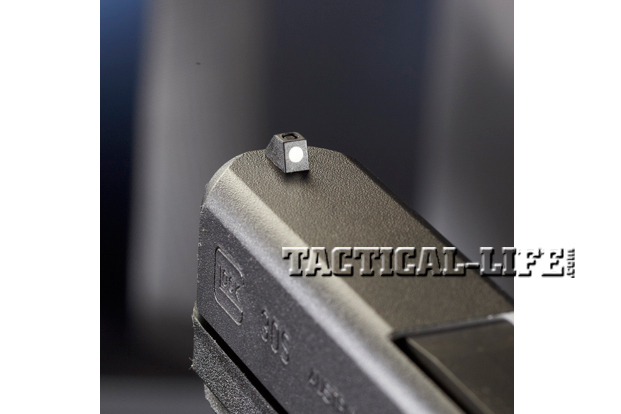 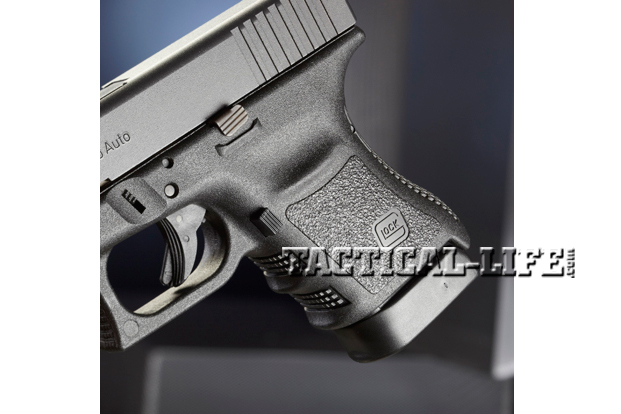 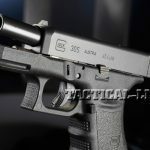 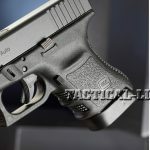 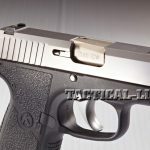 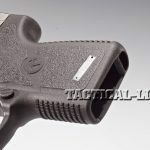 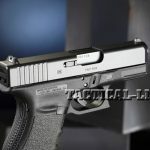 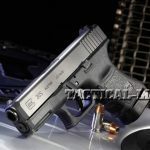 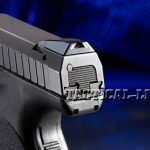 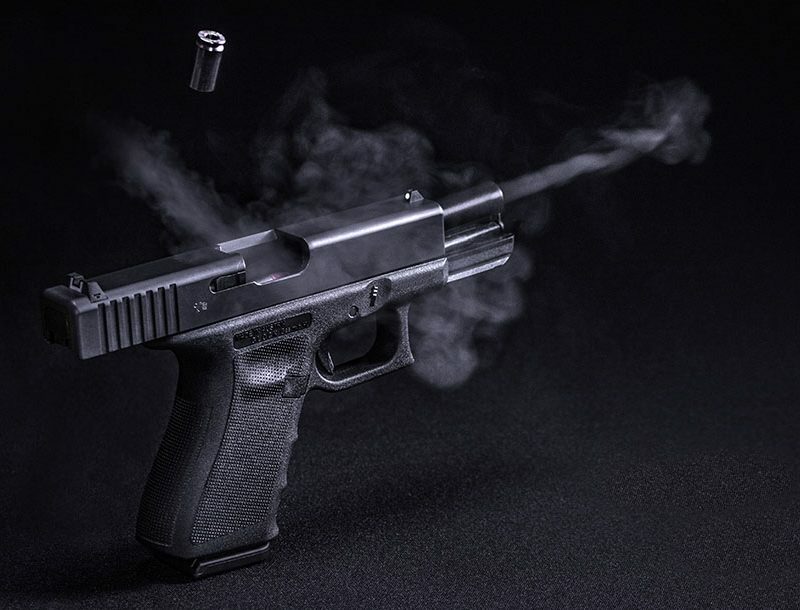 Glock has unleashed the G30S (“S” for Slim), which has the 0.14-inch-trimmer slide of the single-stack G36, the width of Glock’s 9mm/.40-caliber pistols, and the reduced frame of Glock’s SF models to improve trigger reach and controllability. 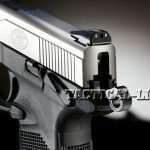 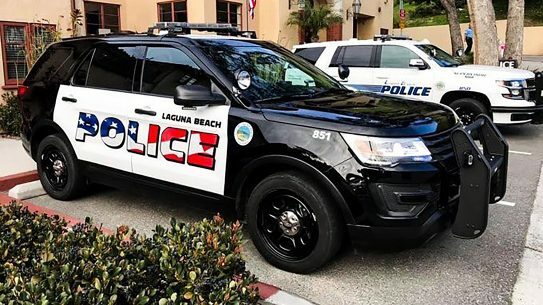 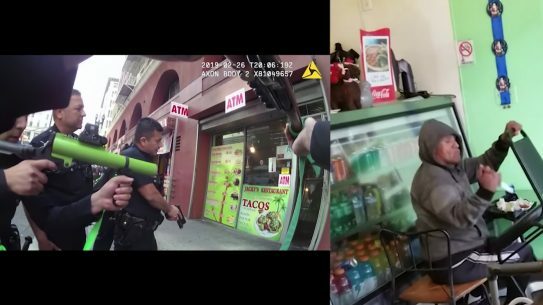 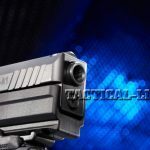 “I consider quicker recoil recovery, which allows for faster follow-up shots, critical for a pistol carried by officers and civilian shooters,” wrote author D.K. 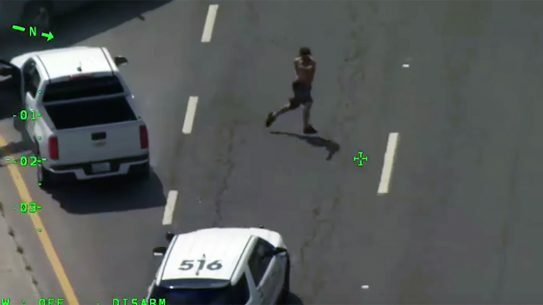 Pridgen. 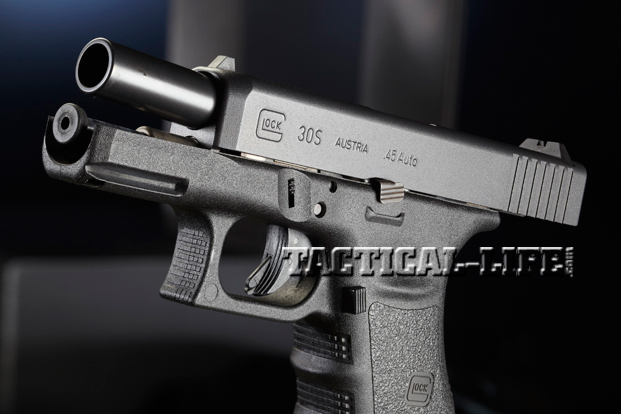 “The G30S allows you to get back on target quickly to deliver more rounds against the same aggressor or on multiple threats.” This gun has controllable recoil, faster follow-up shots, 10+1 rounds of the large-bore, battle-proven .45 ACP, excellent concealability, improved frame and slide handling characteristics and fight-stopping accuracy—and the legendary reliability and durability of all Glock pistols. 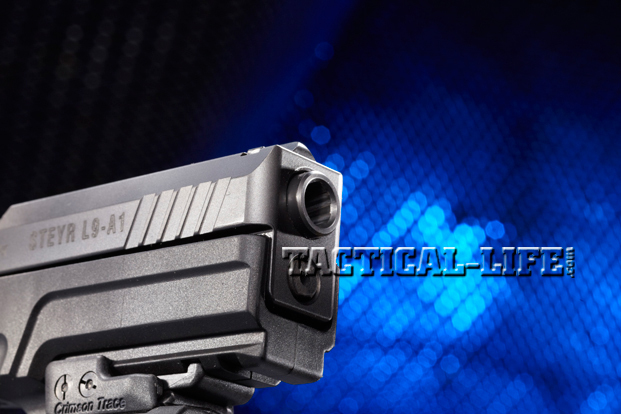 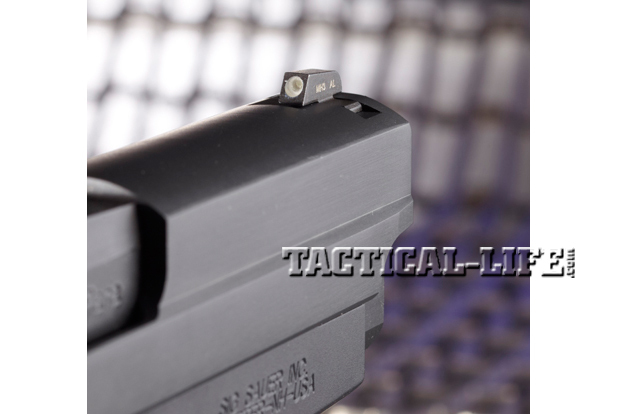 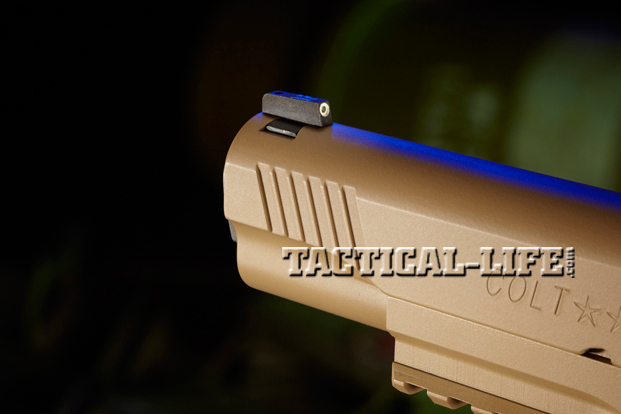 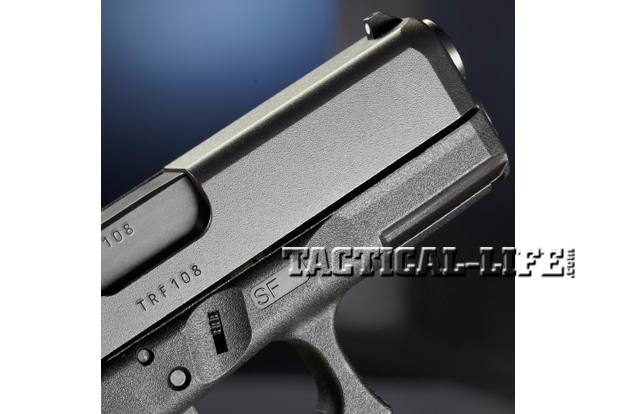 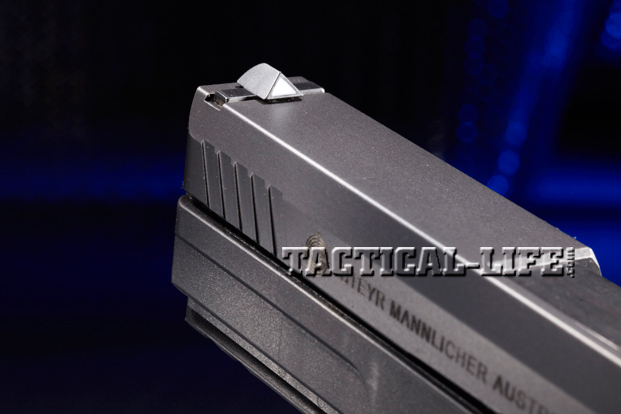 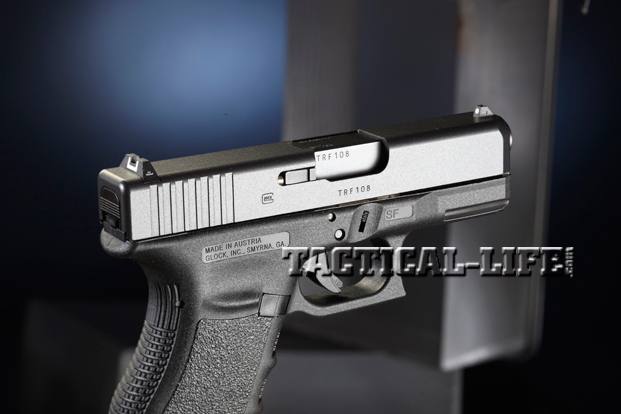 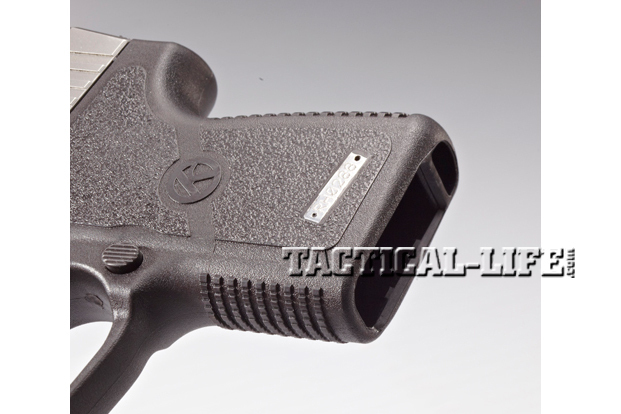 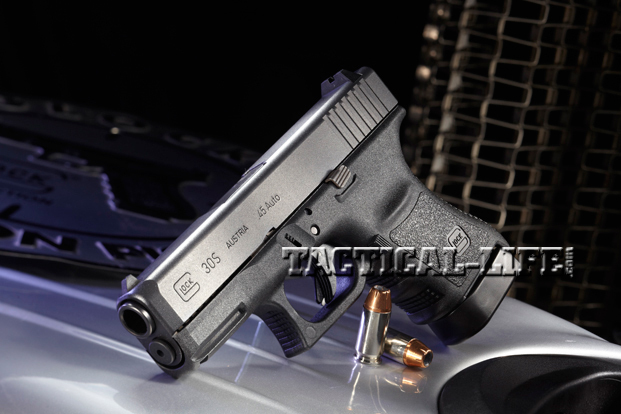 Read the entire Combat Handguns Glock 30S .45 ACP article HERE…. 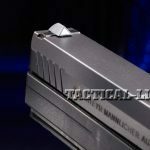 The M11-A1 has a one-piece stainless steel slide, a second-generation external extractor, phosphate-coated internal parts, a 15-round magazine and Sig’s Short Reset Trigger (SRT). 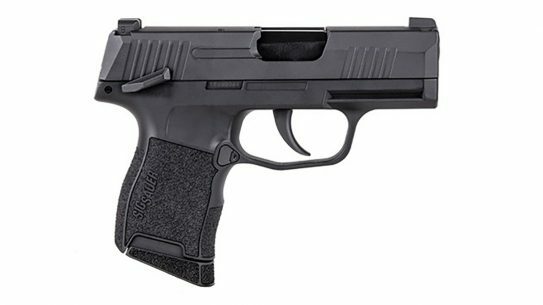 A mid-sized pistol with a full-sized grip, it utilizes the familiar modified Browning, tilting-block, locked-breech design, which is present in all Sig Sauer P-series pistols that use a locked breech. 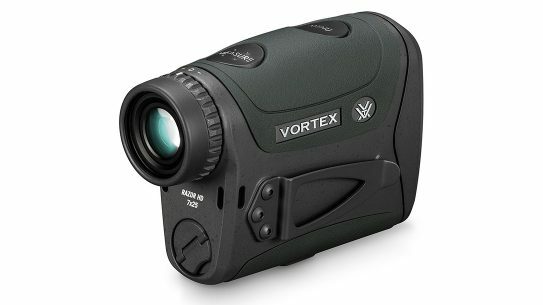 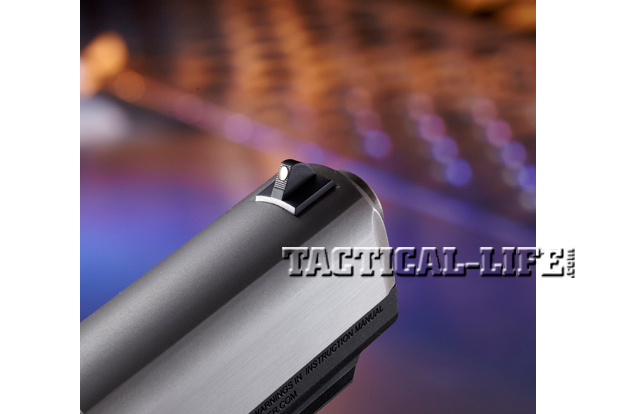 “The M11-A1 shot very well and was 100 percent reliable with all five loads tested,” noted author Andy Massimilian. 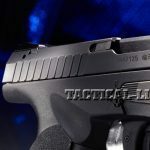 “With the proper grip, firing a rapid, accurate shot double-action is not difficult.” In short, the high-quality, accurate, reliable, and durable M11-A1 delivers the performance and design features that armed professionals demand. 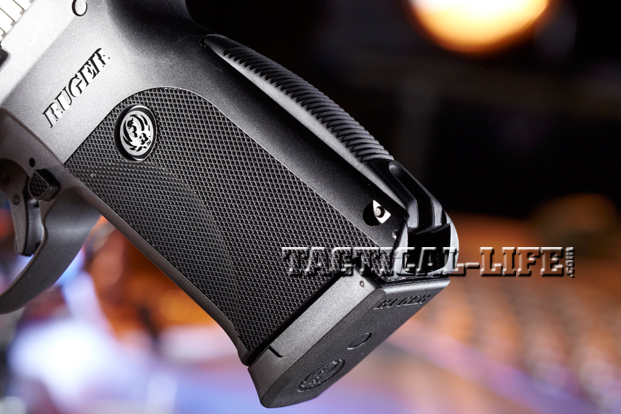 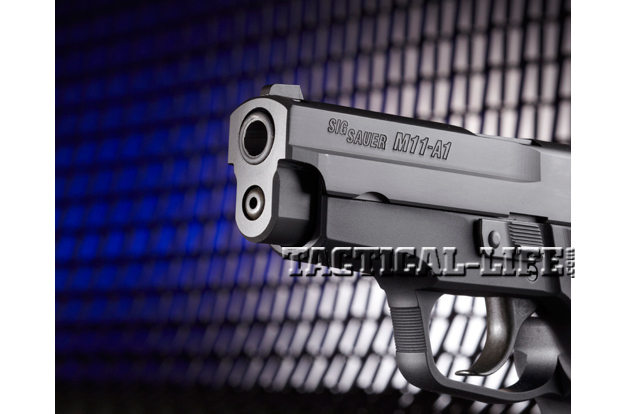 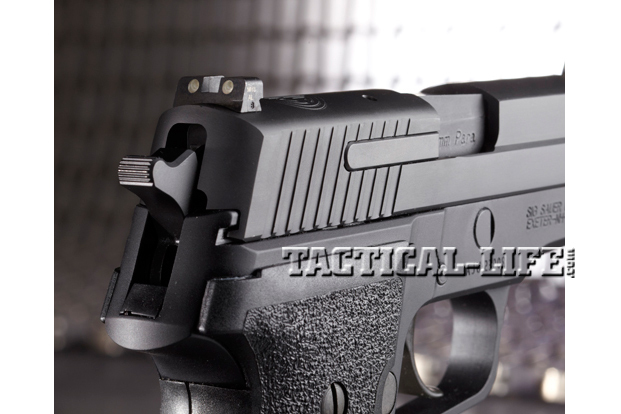 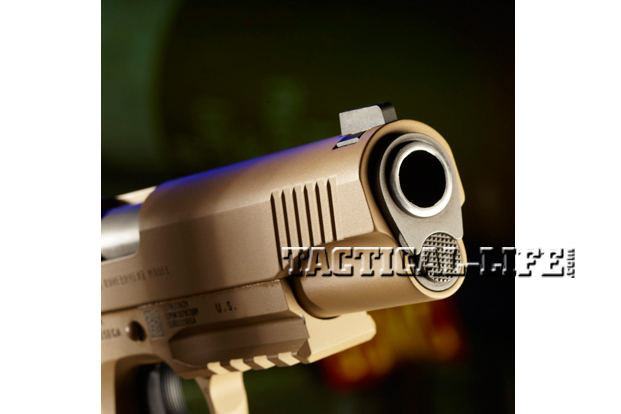 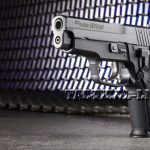 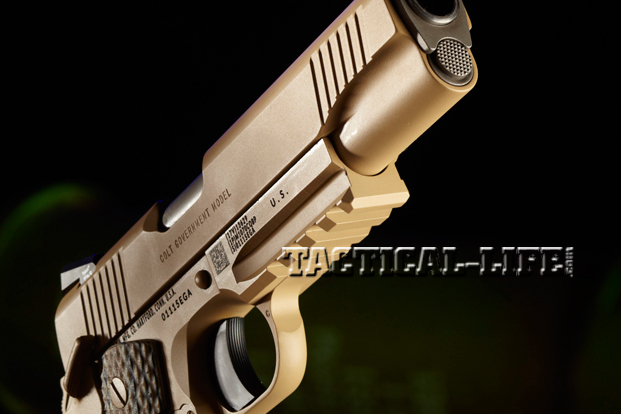 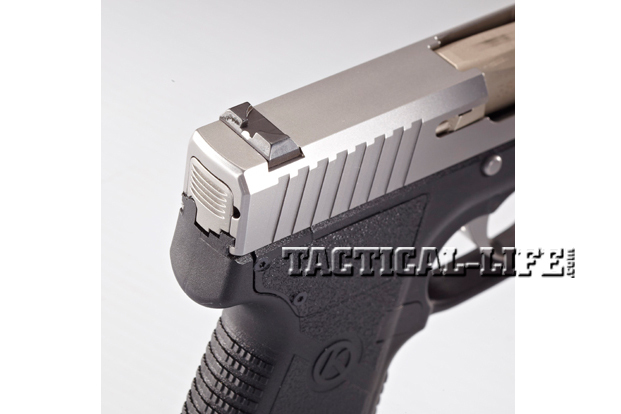 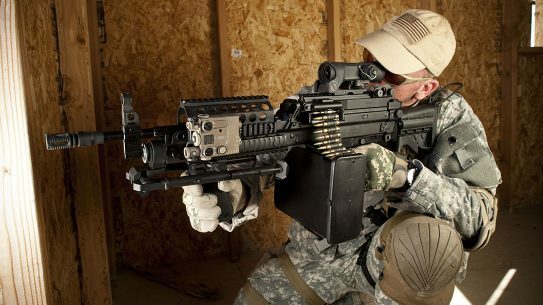 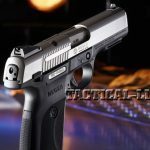 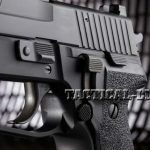 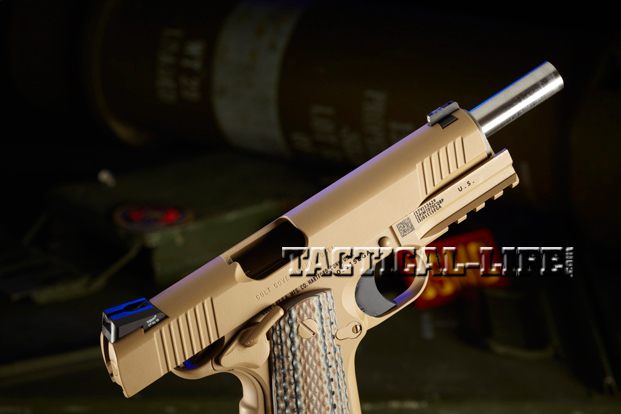 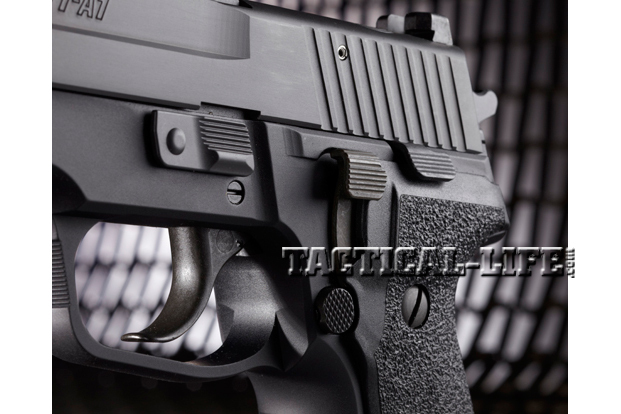 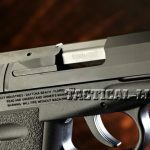 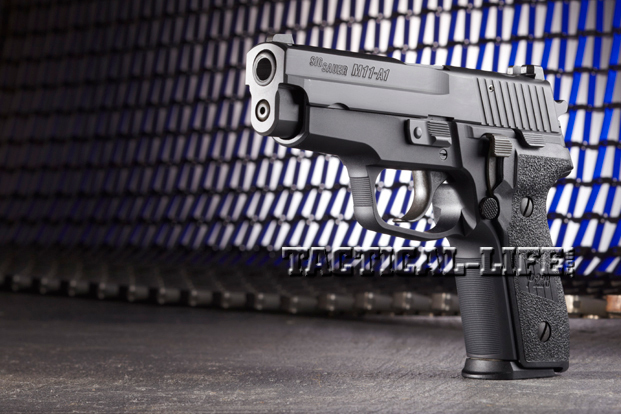 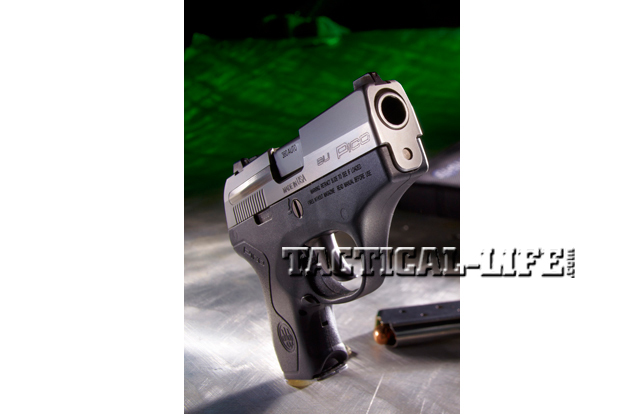 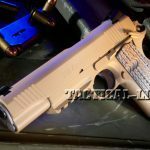 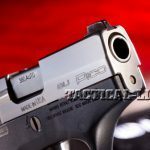 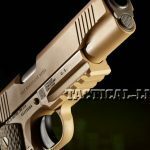 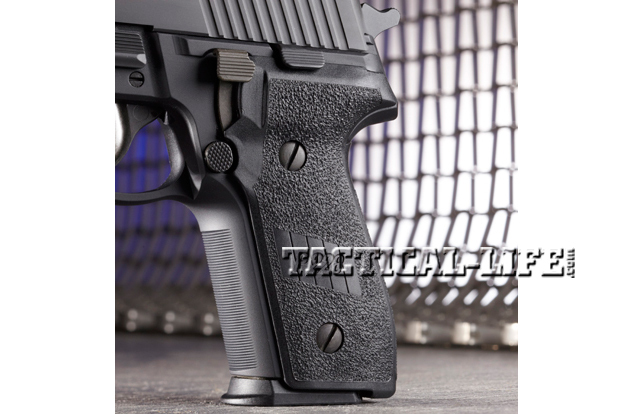 Read the entire Combat Handguns Sig Sauer M11-A1 article HERE…. 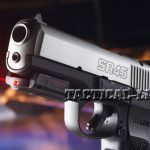 Based on the SR series originally introduced in 2007, the new SR45 is a polymer-framed, full-sized, striker-fired, recoil-operated, semi-automatic pistol chambered in the powerful .45 ACP cartridge and featuring a 10+1 capacity. 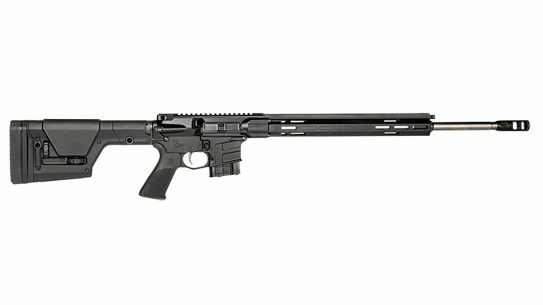 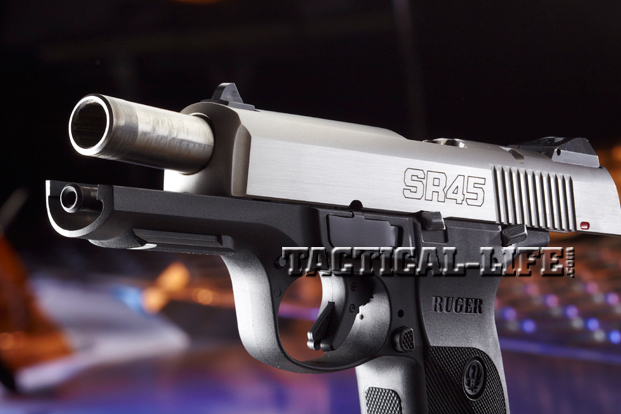 “On the range the Ruger SR45 performed flawlessly,” wrote author Jorge Amselle. 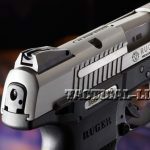 “There were zero malfunctions experienced with the mix of hollow-point and ball ammunition used.” The Ruger SR45 is unquestionably a solidly built, tough-as-nails, reliable handgun with many safety features. 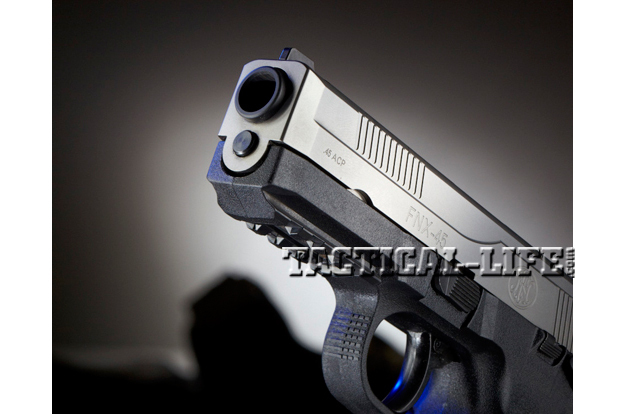 Its design, size, low recoil and full-power loading will certainly appeal to those interested in personal protection inside the home. 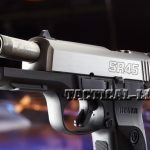 The SR45’s slim profile and relatively low weight also make it ideal for those who want a full-sized gun for concealed carry. 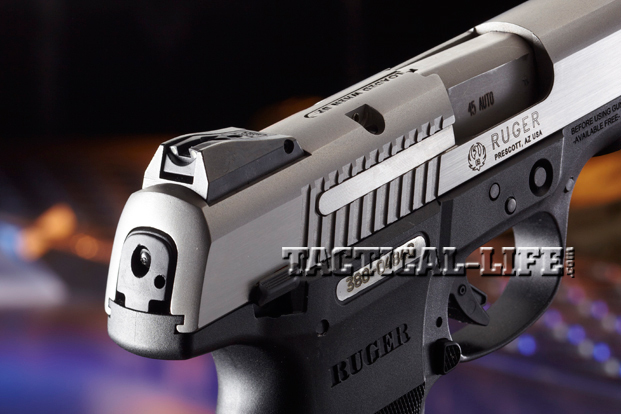 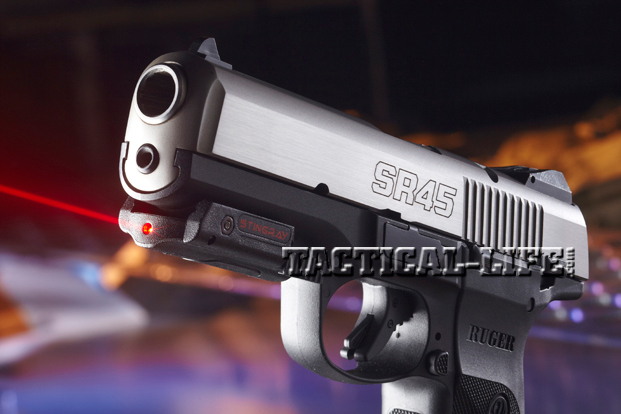 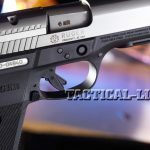 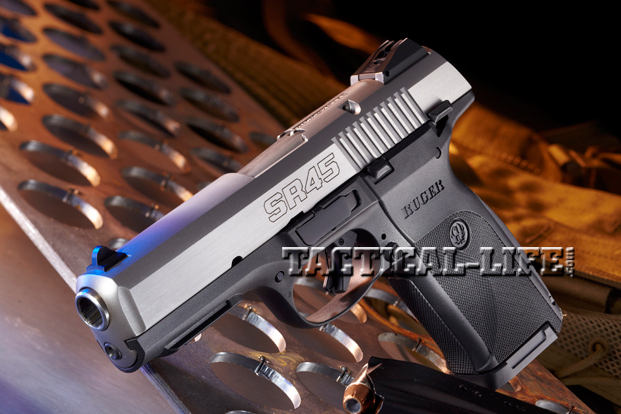 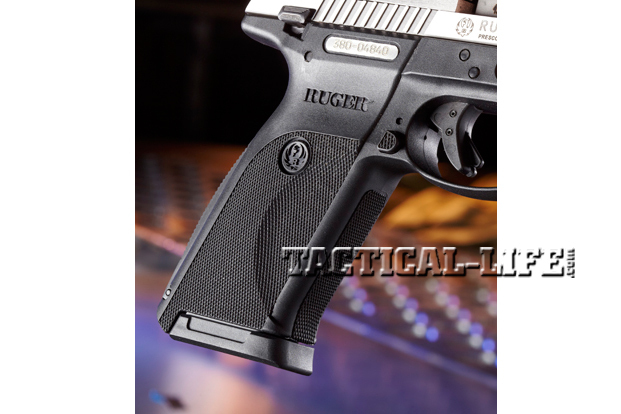 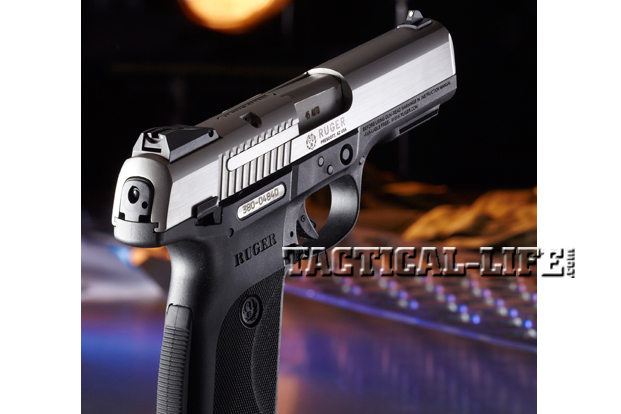 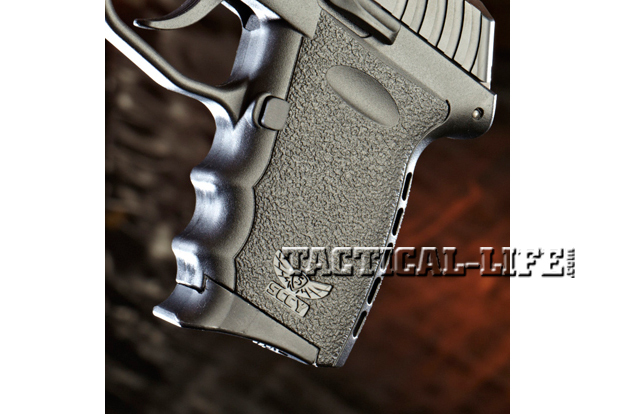 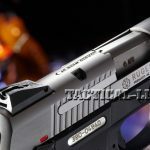 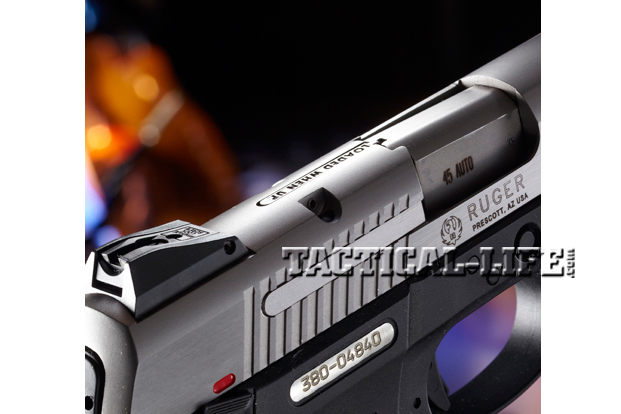 Read the entire Combat Handguns Ruger SR45 article HERE…. 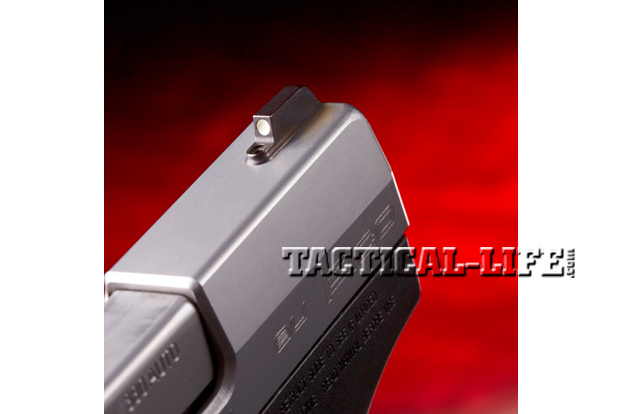 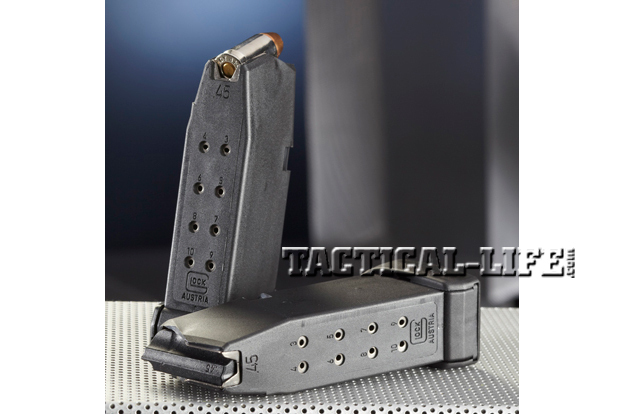 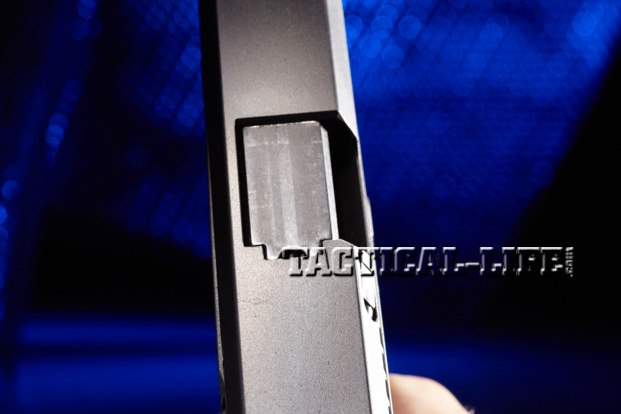 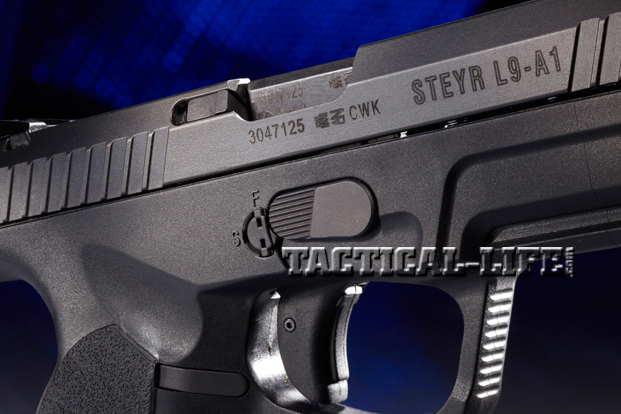 The first thing one notices about the L9-A1 is its slide, which is longer than other pistol in the Steyr line. 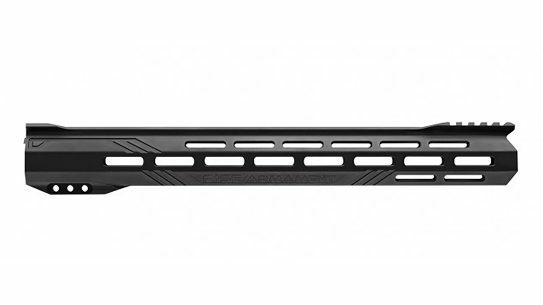 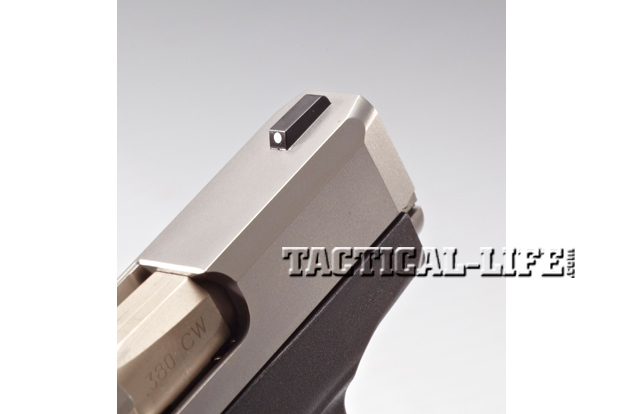 Its increased length not only provides a longer sight radius and improved balance, but it also, by virtue of its greater weight, reduces muzzle flip and felt recoil. 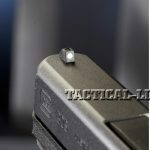 “During the drills, I ran three magazines of ammo through the L9-A1 and did not experience a single failure to feed, fire or eject,” author Paul Scarlata noted, “and only a few of the … rounds expended wandered outside of the target’s X and 9 rings.” Whether you want it for competition shooting, home and personal defense or law enforcement service, the precision-engineered, deadly accurate and reliable L9-A1 will serve you quite well. 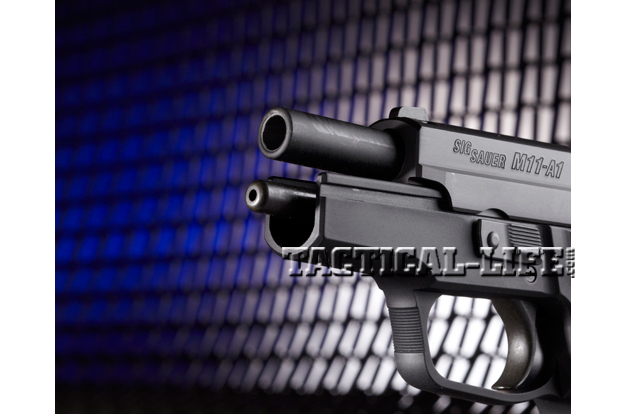 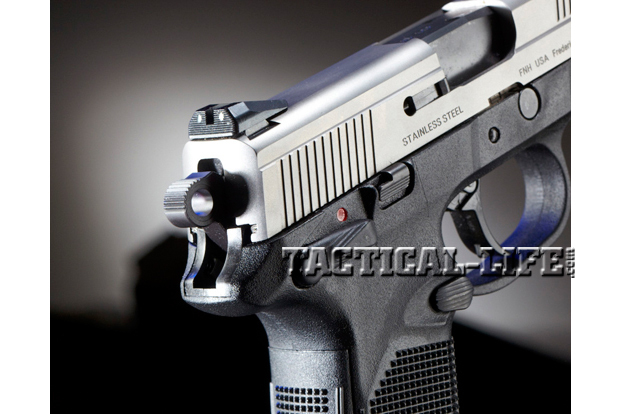 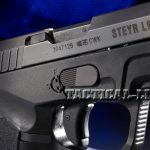 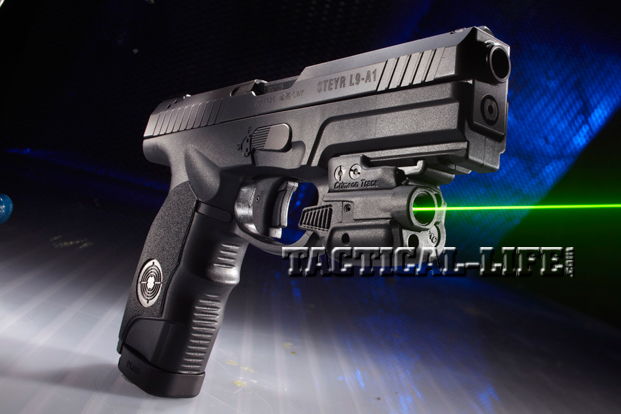 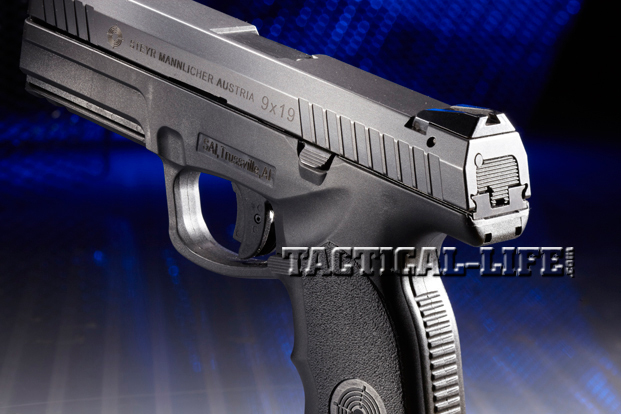 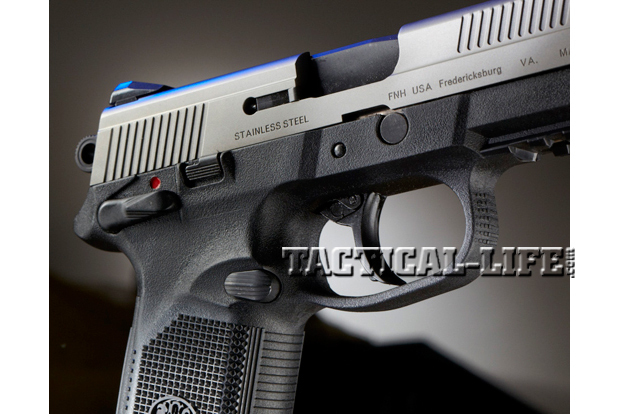 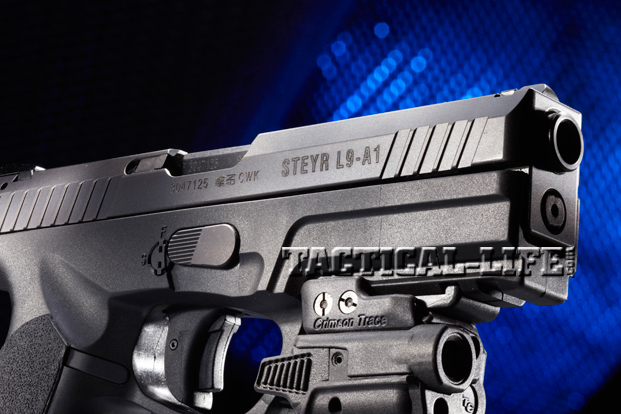 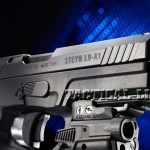 Read the entire Combat Handguns Steyr L9-A1 article HERE…. 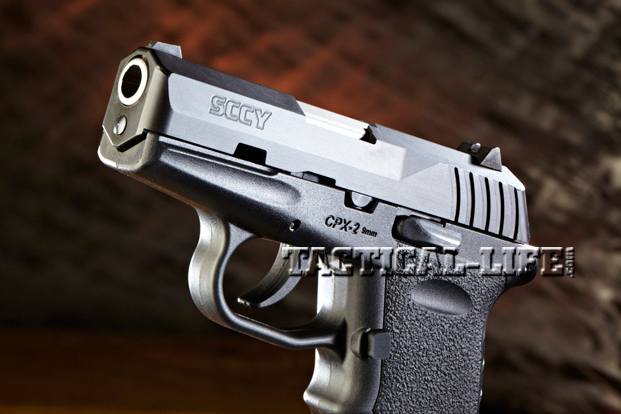 The CPX-2 and SCCY are newcomers to the firearms industry, but both bear watching. 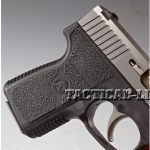 This 9mm subcompact semi-automatic has a solid steel slide and barrel that are made in Florida, along with all the other major metal parts. 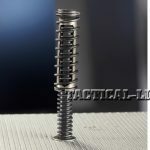 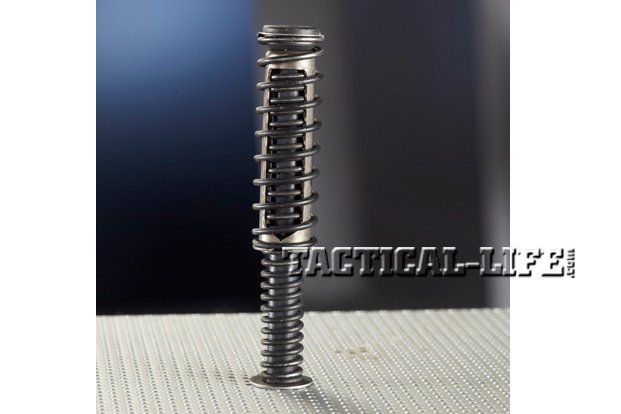 Even the recoil spring guide rod is steel—and some more expensive guns today utilize polymer for that part. 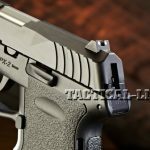 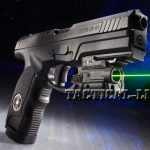 Although priced inexpensively, the CPX-2 is not cheaply made and it is probably going to find a market with those who are seeking value in a self-defense handgun. 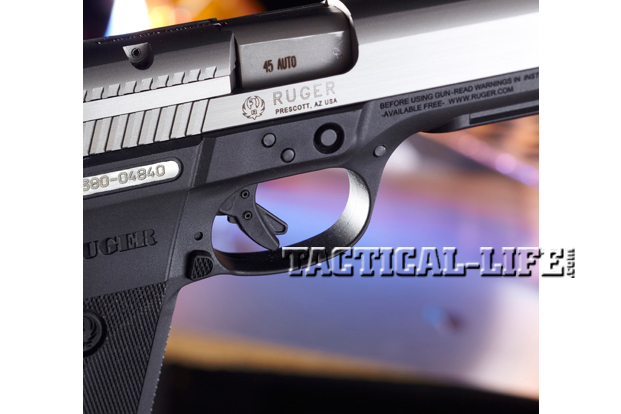 “Every one of the four loads tested averaged about 2-inch groups for five shots,” wrote author Doug Larson. 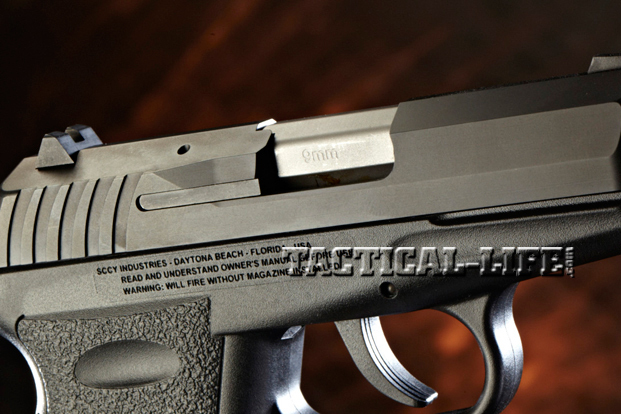 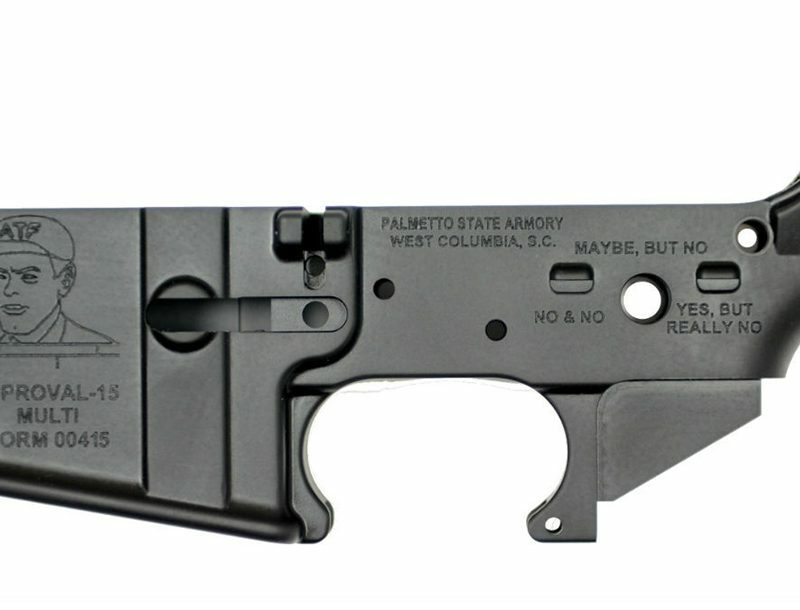 Building a cheap gun is relatively easy, but building an inexpensive, quality gun isn’t. 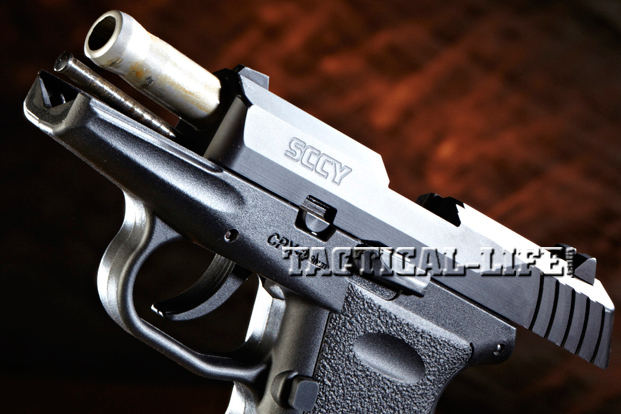 But with the reliable and well-made CPX-2, SCCY appears to have succeeded. 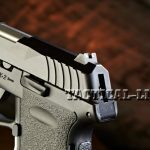 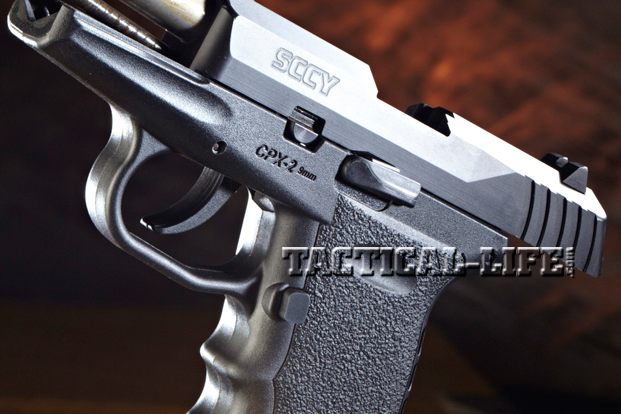 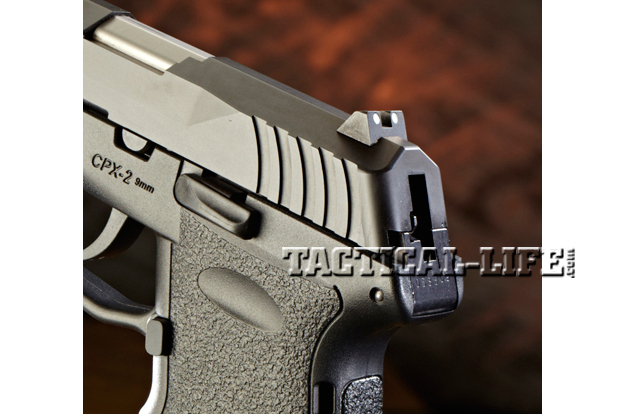 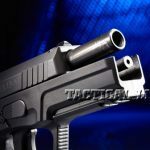 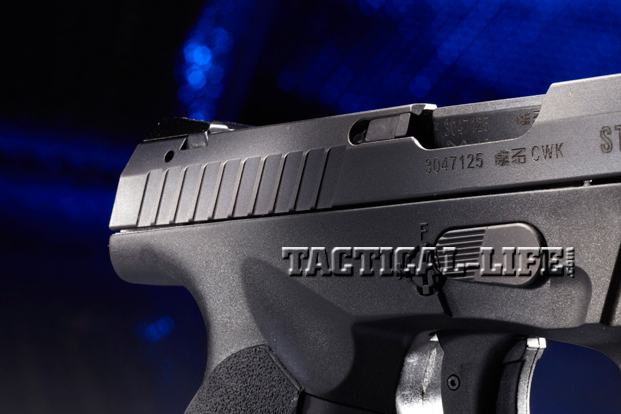 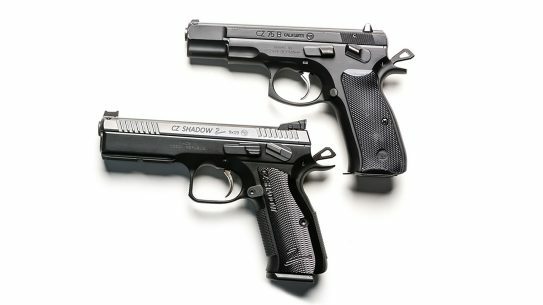 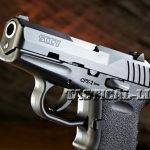 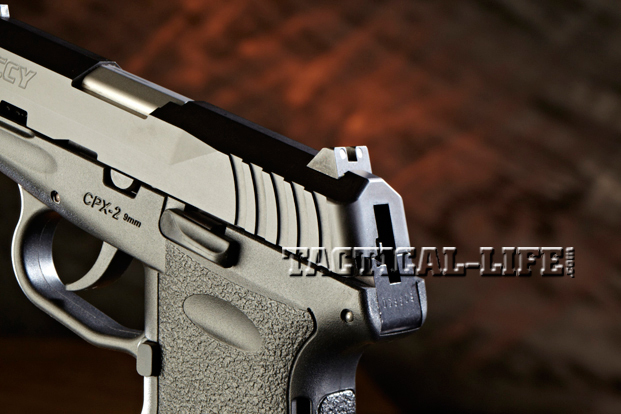 Read the entire Combat Handguns SCCY CPX-2 article HERE…. 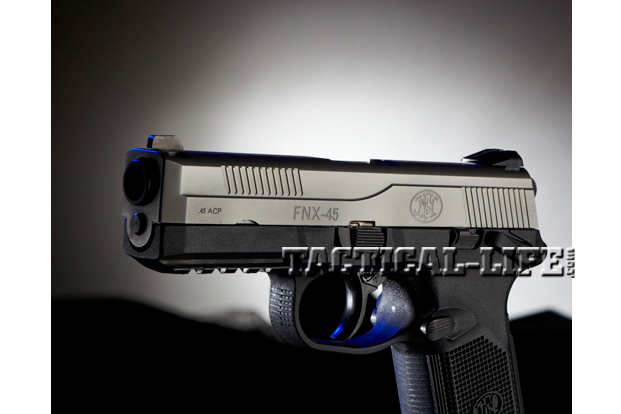 The FNX-45 is a product-improved version of the FNP-45 with redesigned internal dimensions and magazines for optimal performance with a wider variety of commercially available ammunition. 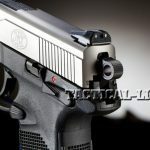 Like its predecessor, the FNX-45 is built on a polymer frame but features four interchangeable backstraps that allow the shooter to custom-fit the pistol to his or her particular hand size, while a rail on the dust cover permits the mounting of other accessories. 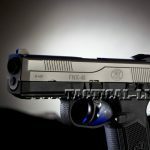 “Its accuracy both off-hand and rested was more than suitable for a service-type pistol,” author Paul Scarlata noted, “and it proved 100-percent reliable regardless of bullet weight, profile or ballistics.” The FNX-45 would make a viable choice for home/business defense, and, if a full-sized .45 is your ideal carry gun, it is light enough to serve in this role as well. 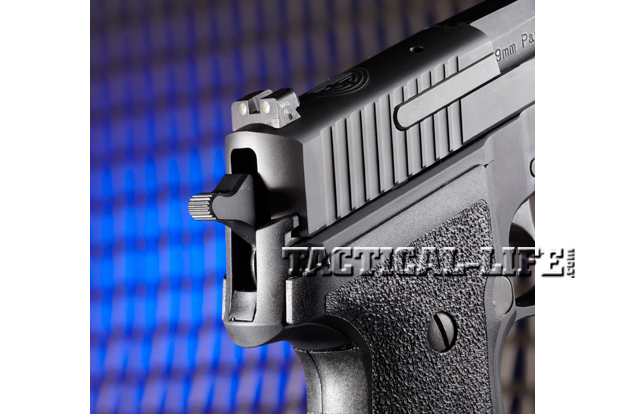 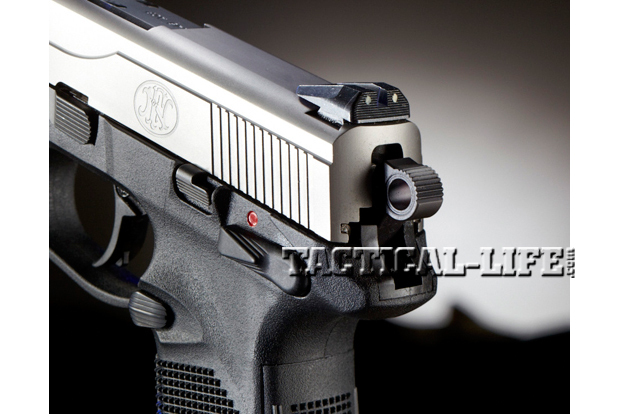 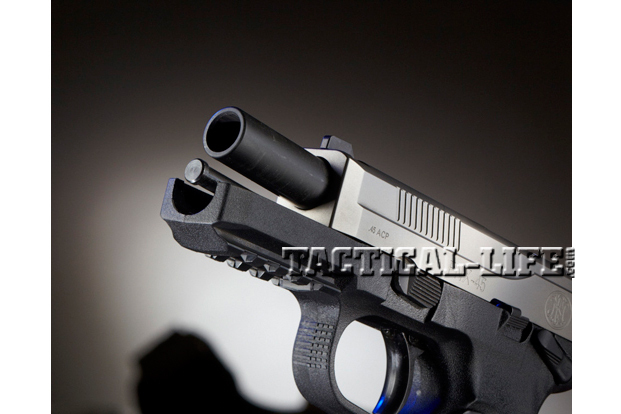 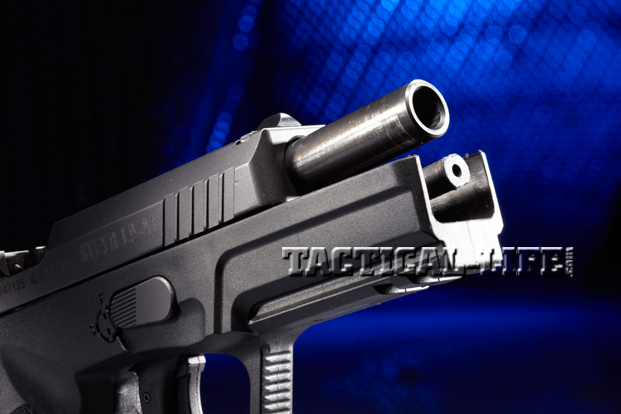 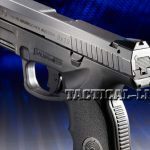 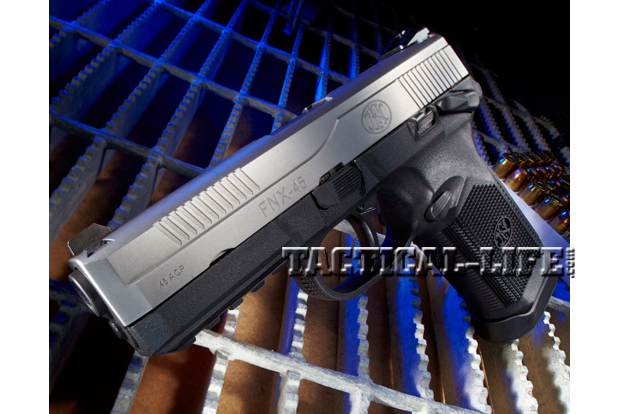 Read the entire Combat Handguns FN FNX-45 article HERE…. 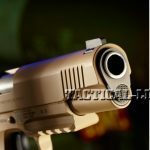 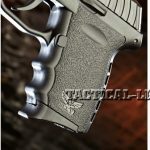 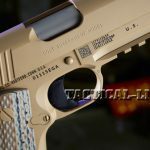 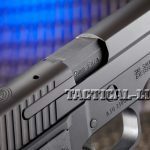 The M45 has features that today’s shooters demand and expect in a 1911-style pistol: an upswept beavertail grip safety with a hefty bump, an extended ambidextrous safety, a lightweight, enhanced hammer, beveled magazine well, lowered and flared ejection port, front and rear slide serrations, and a real Mil-Std-1913 accessory rail. 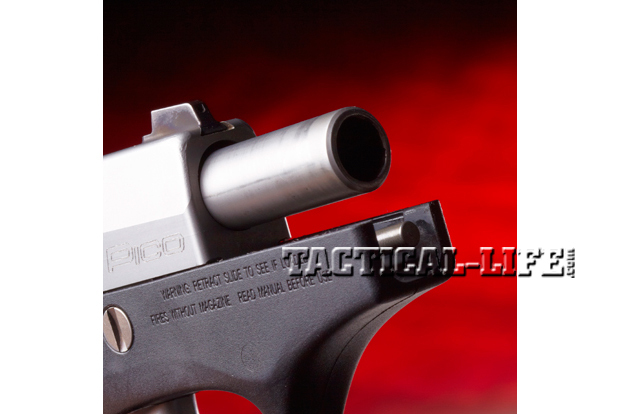 Its ambidextrous safety works crisply when used in either shooting hand. 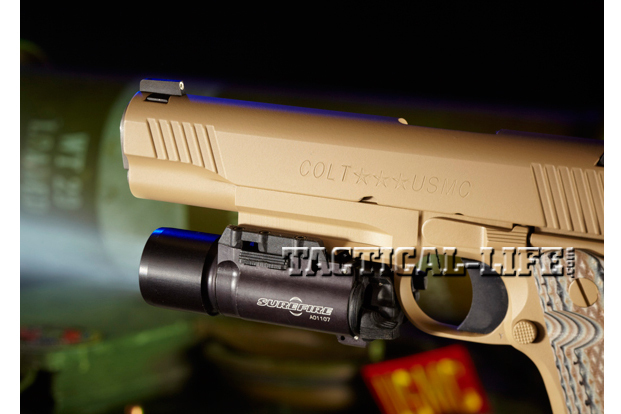 “The Colt M45 worked flawlessly,” author Robert Sadowski observed. 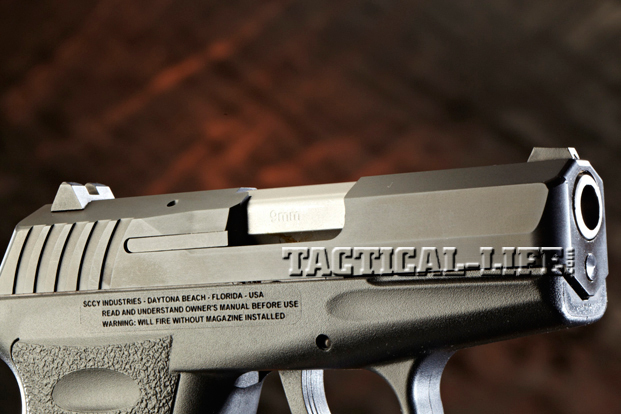 “Align the front sight, press the trigger, bang, repeat. 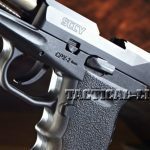 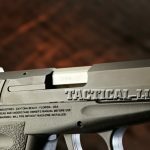 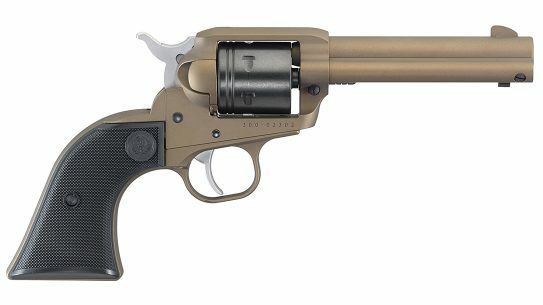 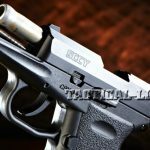 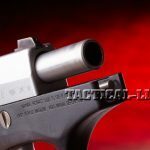 And repeat I did, until I was standing in a pile of empty cases.” Colts have always been built to last, and this is clearly apparent in the durable, high-performing M45 CQBP. 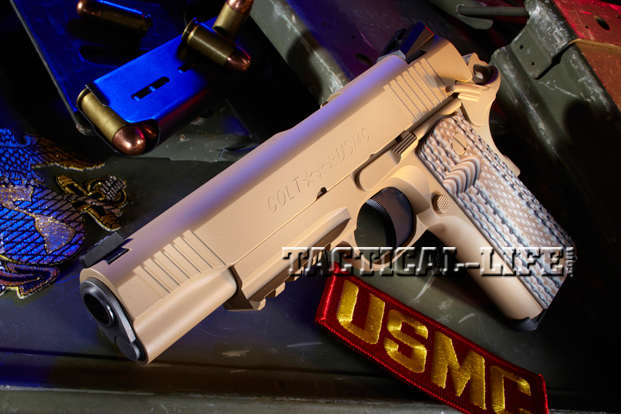 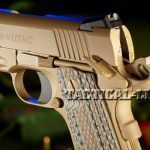 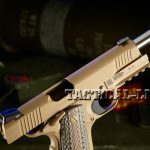 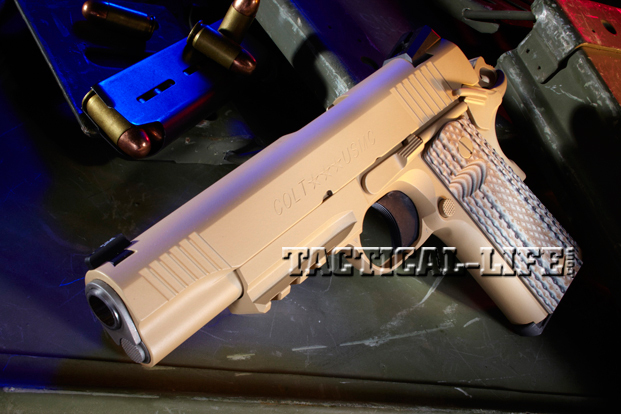 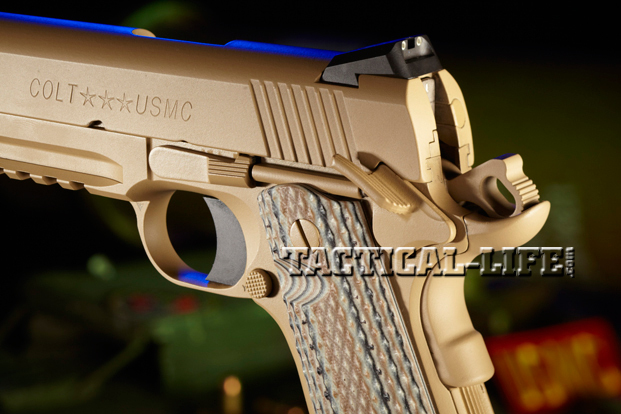 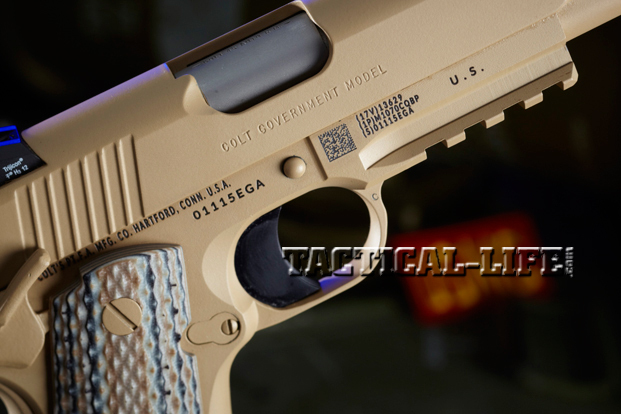 Read the entire Combat Handguns Colt M45 CQBP article HERE…. 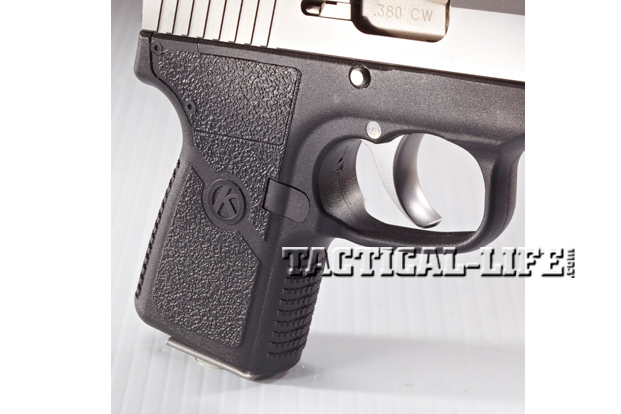 Based on the P380, the new, double-action-only (DAO) Kahr CW380 incorporates all of the award-winning features developed for Kahr’s PM and CW series pistols, including a lightweight black polymer frame with 4140 steel inserts molded for added strength and rigidity. 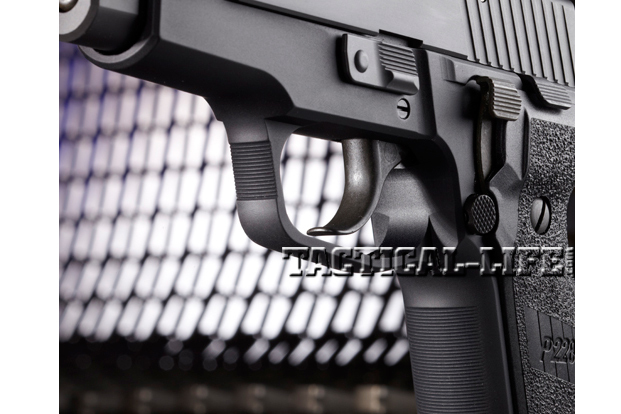 The durable polymer frame provides for a solid grip with molded-in frontstrap and backstrap serrations, textured grip panels and an oversized triggerguard. 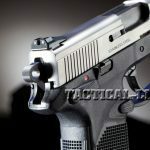 “The slide locks back after the last round is fired, which is not always the case with small .380 semi-autos,” author Dennis Adler wrote. 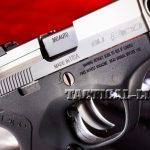 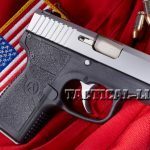 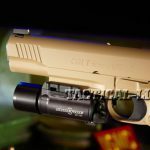 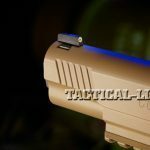 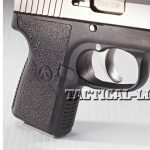 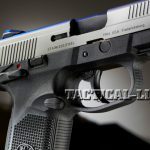 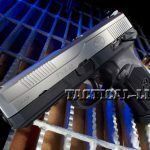 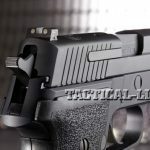 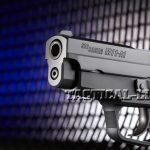 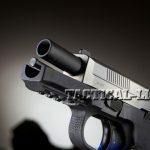 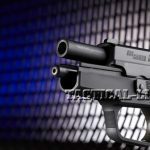 “This is a distinct advantage in a tactical situation for a quick reload, and it’s an even bigger plus with the Kahr.” Worth every penny, the CW380 is strong, compact, relishes high-velocity rounds and offers respectable accuracy at close-combat distances. 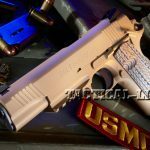 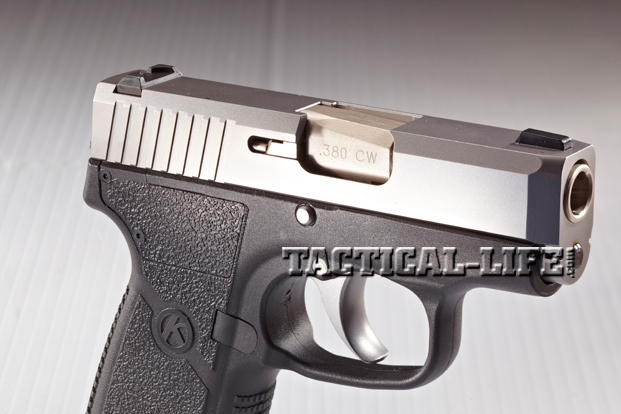 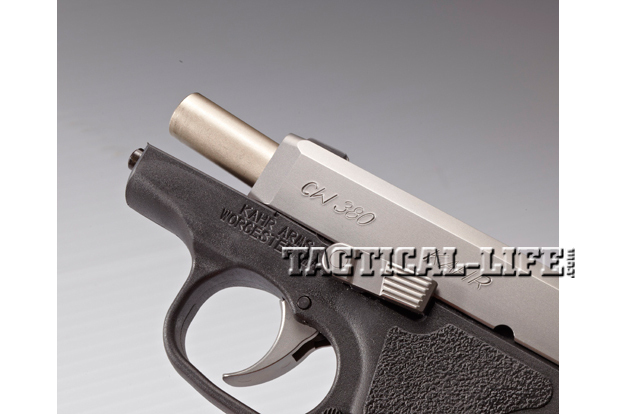 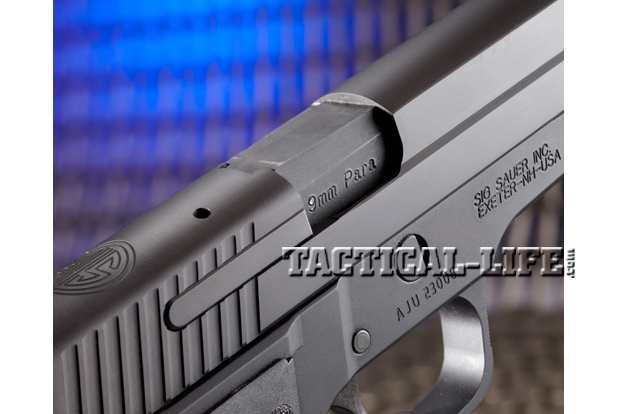 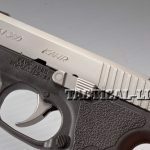 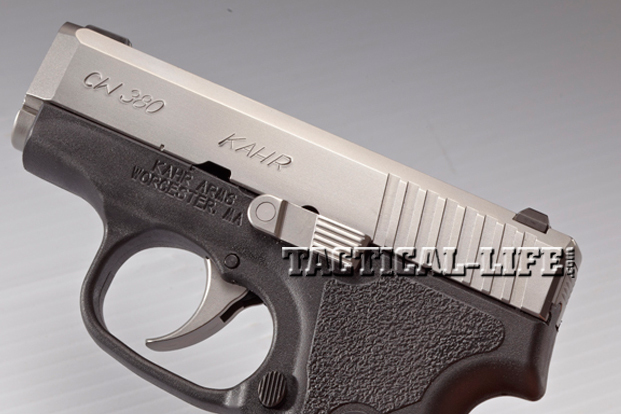 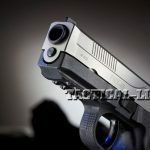 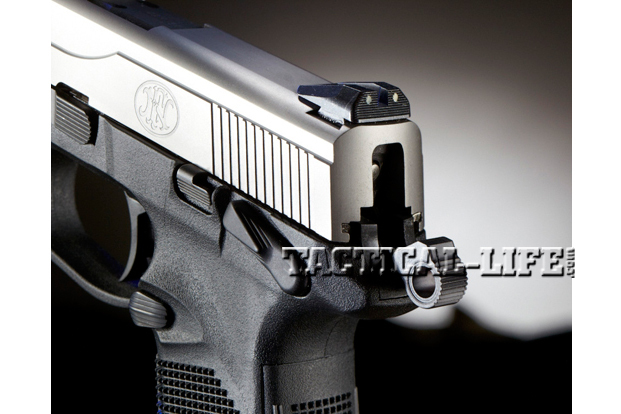 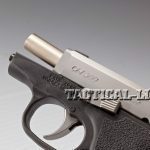 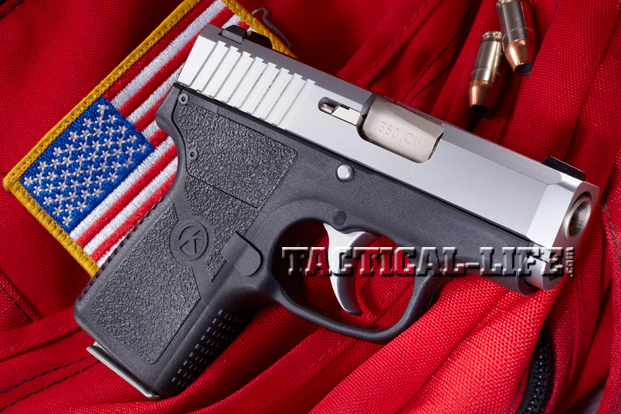 Read the entire Combat Handguns Kahr CW380 article HERE…. 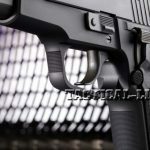 Soviet weapons and other AK variants are known the world over for simplicity and durability.